We specialize in the repair of hatches and portlights from a wide variety of manufacturers. With over 35 years experience in the marine industry, we provide a service that maintains the highest standards of quality, in addition to being a price leader in a cost-conscious market. To make repairs, send us your hatch or portlights or the top portion of your hatch. After we assess the damage, we will contact you with a final price and an itemized list of what needs to be repaired. Once you’ve taken a look at our assessment and given your consent, our service professionals will complete the repairs and send your hatch or portlight back. The entire process takes approximately 2 – 3 weeks and all of our work is backed by our 1-year No Leak Guarantee. Included in the price is our 1-year No Leak Guarantee. 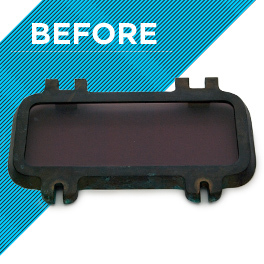 Should your hatch or portlight leak within the year of our repairs, we’ll fix the problem completely free of charge. 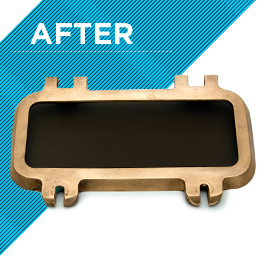 Includes acrylic and gasket replacement. Please contact us for a detailed quote and be sure to include your hatch or portlight dimensions and remember we are happy to discuss prices based on your specific needs. Restore your hatches & portlights to their original brilliance. All prices are in Canadian (CDN$) dollars and are subject to change without notice. Prices listed do not include shipping and handling or applicable taxes. Hammerhead Nautical Systems is not responsible for any damage incurred during shipping.